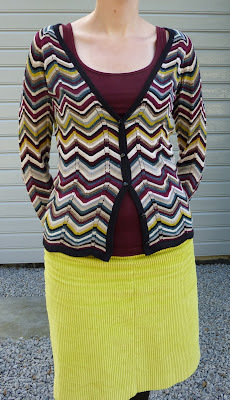 As I mentioned earlier I also bought a cardigan from the Missoni for Lindex collection. I really love the colours in this one, slightly brighter than the dress previously worn here. I would love for a blurry background in my photos but my compact will have to do for now. Hubby does own a DSLR camera but Im a bit intimidated by it and afraid me fiddling would f... things up. ;) Click on picture for enlargement. What a gorgeous sweater! I love how you styled it, allowing it to shine. You are also seriously elegant in your party dress for Sheila's celebration. I too use a tripod / timer for my (no remote capability) travel-super-zoom little camera - I think you're doing a great job, no worries! Thank you Amber! :) Yea I use a tripod/timer myself, good to hear Im not the only one using it. :) We are both serious style bloggers despite not using DSLR cameras, sometimes I get the impression that compact camera pics for blogging are looked down upon. I agree with Amber - your photos are terrific! And I love your new Missoni sweater. Thanks for sharing the awesome-ness with Visible Monday! Many thanks Patti! :) Thank you for your reassurence regarding my pics. I love the new cardigan, so perfect with the yellow skirt! You look marvelous in your gorgeous dress! I am another point'n'press camera user (using the timer and a tripod) and I think your photos are just fine! I love the combination of yellow and burgundy. Very awesome. Your pictures are always lovely! I wish I could get such consistently good ones out of my little one. Your pretty outfit for Sheila's party brought me here. Love the Missoni cardi. Using a dSLR on automatic isn't hard and you can use a remote shutter-release with it. I take all my pictures by myself and found running back-and-forth with the self-timer was too hard. Wow! I LOVE both outfits so much! You look very lovely! That purple dress is super adorable! Fantastic cardigan! I love your pairing with the yellow skirt. And your party dress is perfect. It must feel dreamy. To be honest, I am not a big fan of Missoni, but I have to say that you look great in this Missoni cardigan. I might need to change my mind :-)! The dress is lovely! Love your MIssoni flair, and adore your party dress. I think the cardigan is even better than the dress! 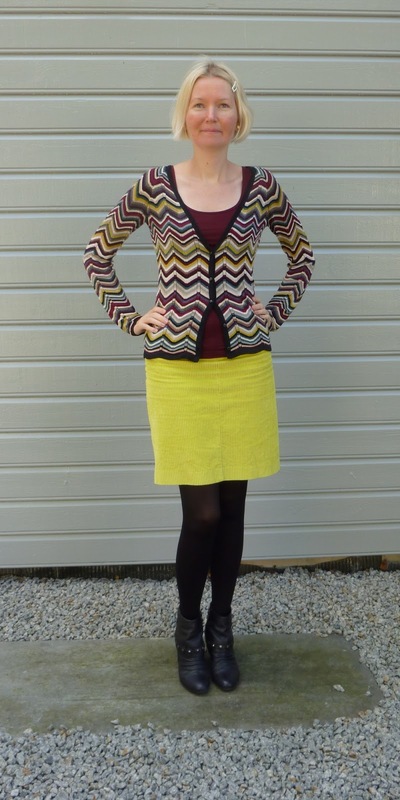 The colours are great and pairing it with the yellow skirt is brilliant! You look fabulous in your party dress! Your legs are incredible with this dress length and the lovely shiny shoes!